C has tapped the secret of scrambled eggs. Not even just the secret of making them, but the secret revelation of what they can be. I have never had the best pastime of scrambled eggs. They have always been a bit lost. Somehow the rich sensuousness of the yolk is lost in the technique. 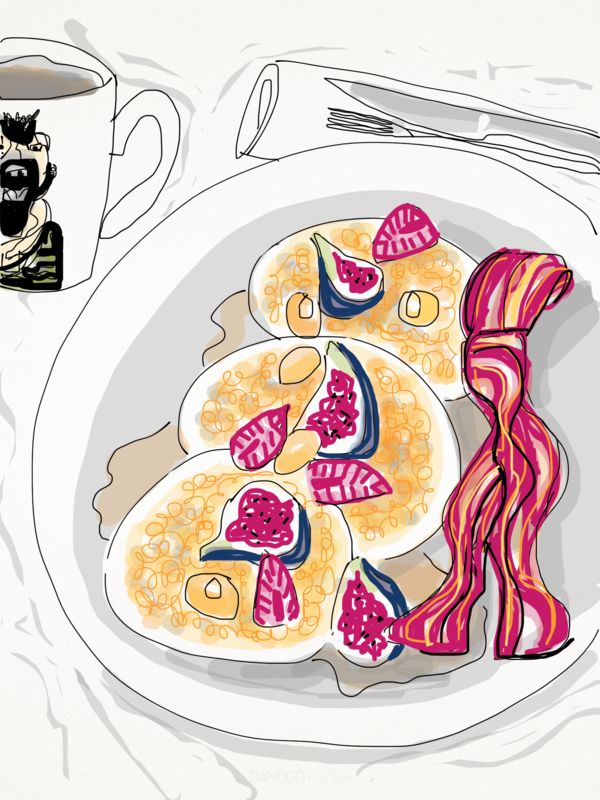 The dowdy other-half to bacon. More of a showcase of salt and pepper. I have become arrogant in my omelet abilities and have always attempted scrambled eggs with the same high-heat, pan-moving treatment. However, they are always too dry and half of the final product gets lost to the pan. I love the instant gratification of eggs, but sometimes a little added technique and patience can reintroduce something so simple and satisfying! Low and slow is the way to go! Turn on the stovetop to its lowest setting. Beat best-quality eggs with a splash of milk, a small drizzle of water, and a generous amount of salt and pepper. 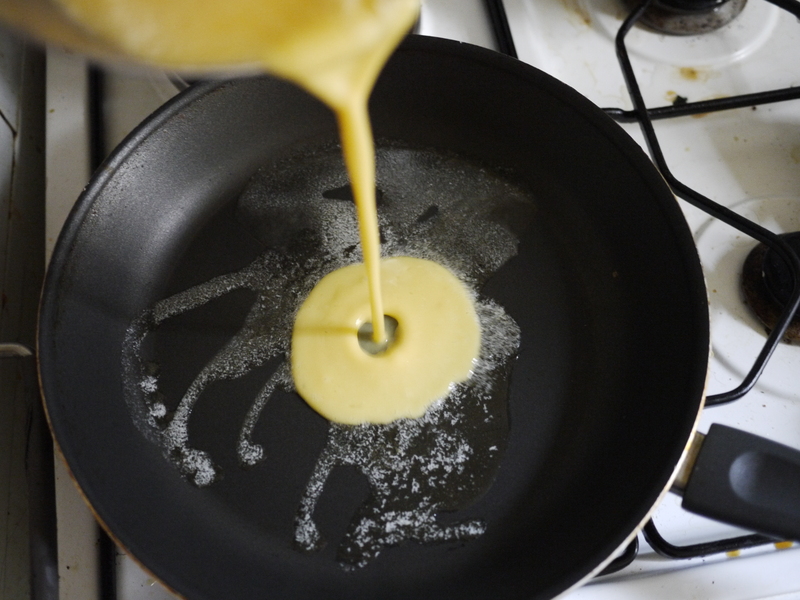 Cooking the eggs at the lowest temperature creates smaller, silkier curds and a creamier, velvety final product. 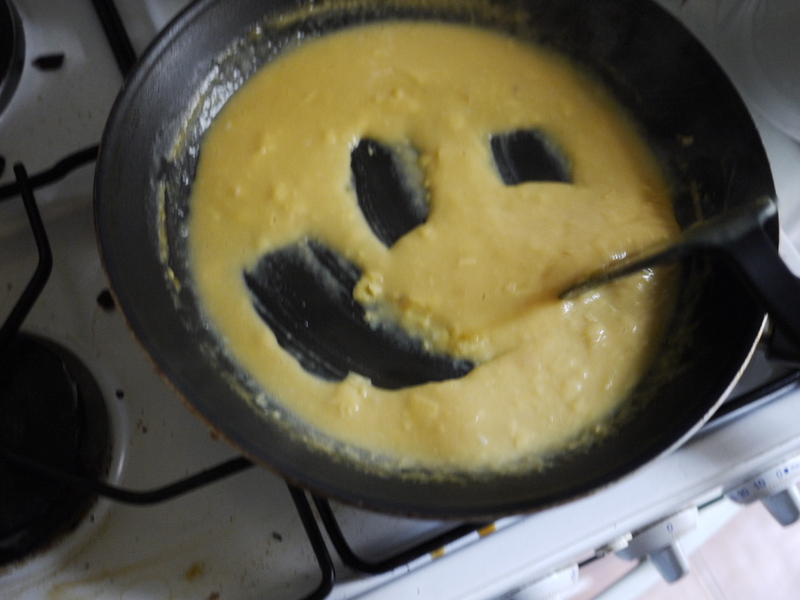 Once you can draw a smiley face on the bottom of the pan, BRAVO! You are almost there. Depending on the temperature of your stove, it can take anywhere from 5-15 minutes. Keep stirring until they are just barely set. When done right, they will have a a custard-like texture. Serve with chopped chives and crème fraiche, or with a tranche of smoked salmon. Serve them however you would normally serve scrambled eggs. However, they do not need much more than a sprinkle of sel de fleur and a piece or two of toast to sop up all the delicious creaminess. 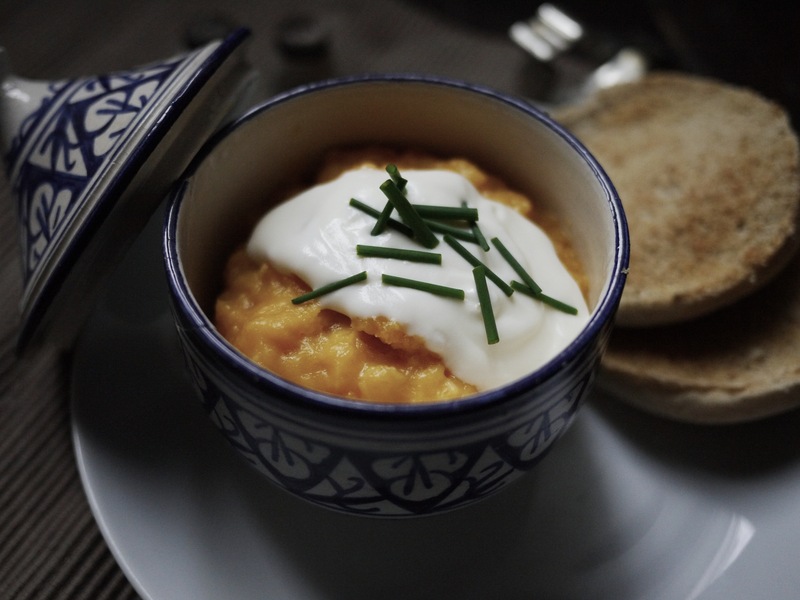 Or reunite these made-over scrambled eggs with their other-half, bacon.